I have to add a disclaimer to this post right up front. The photos are TERRIBLE because they were taken on my phone, long before I considered they’d wind up on a blog, in a hurry as people were walking in the door. 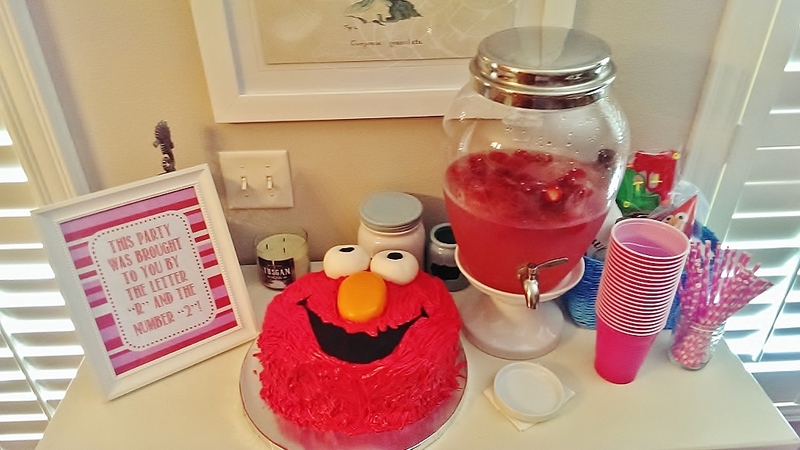 But despite the quality of the photos, I really wanted to share these very simple and very affordable ideas for a small scale DIY Elmo Birthday party. 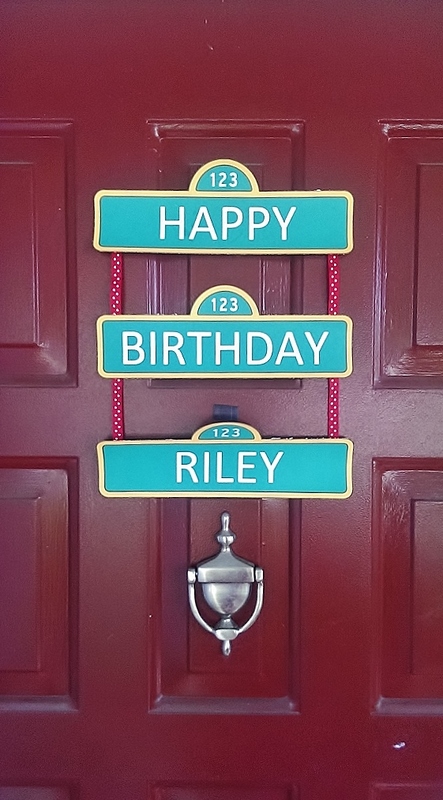 As a mom who has thrown one too many over the top parties, this was by far the easiest birthday party yet. 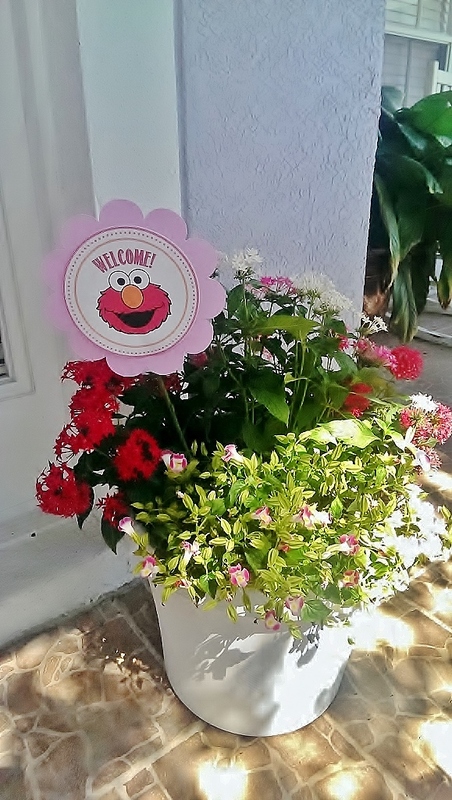 My older daughter had an Elmo themed 2nd birthday party and I decided to recycle the invitation and dress for my younger daughter’s 2nd birthday. I used the red tubs and flower arrangements leftover from the Ladybug party. Yay for that! I ordered the red, pink and white chevron fabric from Etsy. Instead of going overboard, I only ordered a single yard to use as an overlay instead of trying to cover the entire table or to stress over making a runner. I folded that bad boy into a square and threw it over the plain white tablecloth. Easy peasy. I made paper poms out of tissue paper I had on hand, but that actually wasn’t so easy. Somehow, I royally screwed up the measurements and had the most deformed poms ever. I redid them multiple times until they got close enough to something resembling acceptable. I kind of wish I had photographed the deformed ones because they would have taken your attention away from these awesome quality photos. I also made a handful of printables in Word. Yes, Word. My graphic artist friends are all shuddering, I know. But a gal’s gotta make do when on a budget. No Photoshop = Time to think outside the box! 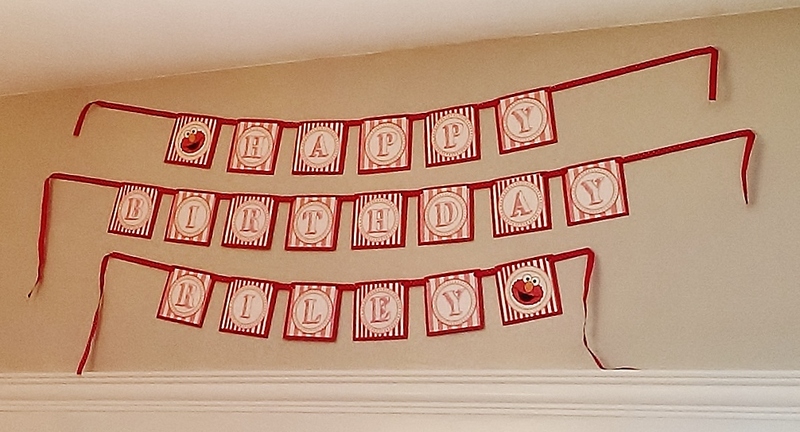 The printables included food tents for the table, centerpiece inserts, the Birthday Banner, a front door sign and a little sign for the cake table. Like seriously. My crossfit friends were inhaling this goodness. And I may or may not have eaten 9,000 calories worth of that cake…in like a day. And no, that didn’t mean I ever even considered doing a single flipping burpee. Pfft! 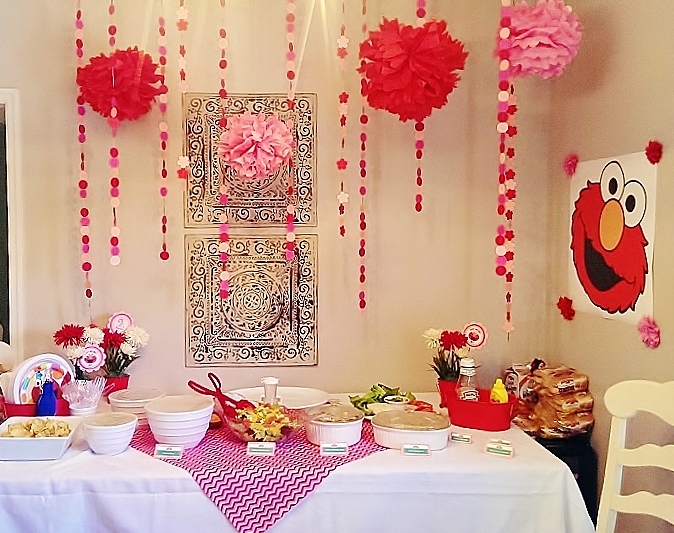 My favorite DIY project for this party was the paper garland hanging from the ceiling. I’d been dying to try it for a while and was stoked that it was actually easy. Despite the fact that it involves sewing, it was way easier than I expected. I used 2″ paper punches in circle and flower shapes to cut various shades of red and pink scrapbook paper. Once cut, I ran them through the sewing machine with white thread in an alternating color pattern. It actually made me feel like I knew what I was doing…for a moment. The big giant printout of Elmo was compliments of my friend (and former boss) at the InPlace Marketing. It served as double duty wall decor and pin the nose on Elmo. My step-daughter from my first marriage dressed up as Elmo for Avery’s 2nd birthday party so we decided that Avery had to pay her dues and do the same for Riley. My mom took on this project (again) to piece together ebay finds to make a costume large enough for a 9 year old. Voila. And that’s it. 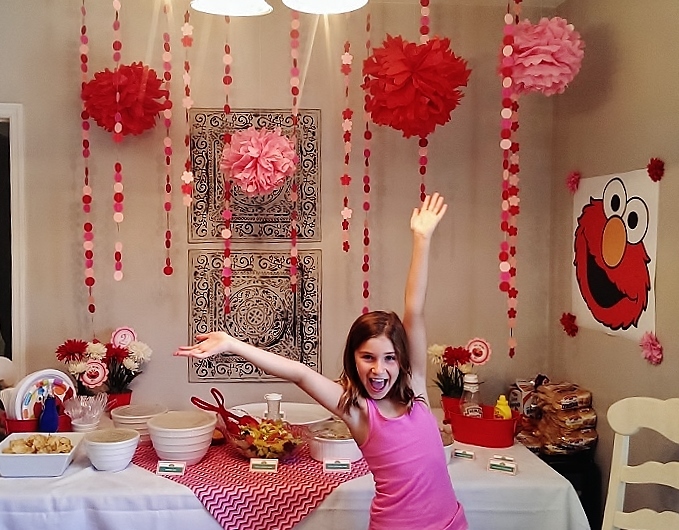 Lots of paper to decorate this party on a super tight budget, the recycled Ladybug party goods and a single yard of fabric. Oh. And a cake from the heavens. My little 2-year-old had a blast with her friends and family. I wasn’t stressed over ANYTHING, for once. And I got a little fatter from that darned cake. Success! Loved this birthday party. And the Elmo costume is for sale if anyone is interested.